According to most poskim, women and men are equal regarding the obligation to pray, and therefore women are obligated to recite Shemoneh Esrei of Shaĥarit and Minĥa, while Ma’ariv remains voluntary. Others maintain that women are only obligated to recite the Amida (the term for the silent standing prayer, used interchangeably with “Shemoneh Esrei”), once a day, preferably Shaĥarit, so that the day begins with prayer. Still others maintain that women need only recite a brief prayer, and that Birkhot Ha-shaĥar and Birkhot Ha-Torah are sufficient to discharge this obligation. Le-khatĥila, it is best for women to follow the opinion of most poskim and recite Shaĥarit and Minĥa every day. Still, a woman who only prays once fulfills her obligation, and in extenuating circumstances, just Birkhot Ha-Torah and Birkhot Ha-shaĥar suffice. A woman who is fully engrossed in caring for her children is permitted le-khatĥila to fulfill her obligation by reciting only Birkhot Ha-Torah and Birkhot Ha-shaĥar. In any case, even a woman who prays Shemoneh Esrei must recite Birkhot Ha-Torah and Birkhot Ha-shaĥar (see below, 6:1 n. 1; 7:3 n. 3). Some women are accustomed to recite the passages of the sacrificial offerings (Korbanot), and some poskim even say that women are required to recite the passage of the Tamid. Nevertheless, the halakha is that they are not obligated to do so (see below, ch. 15 n. 1). Additionally, there are poskim who say that women must recite Pesukei De-zimra (verses, mainly from Tehilim, that praise God) in preparation for the Amida; however, in practice they are not required to recite them (see below, 15:4). Women are exempt from the recitation of Shema and its berakhot, since these prayers are time-bound and women are exempt from positive time-bound mitzvot (see chapter 3). Nevertheless, a woman who recites these passages is praiseworthy. There is an opinion that women are obligated in the daytime and nighttime mitzvot of remembering the Exodus from Egypt, and according to this opinion it is best that they fulfill this mitzva by reciting Emet Ve-yatziv in Shaĥarit and Emet Ve-emuna in Ma’ariv. However, most poskim maintain that they are not obligated to do so. Although women are exempt from reciting Shema, it is good for every woman to recite the first two verses, “Shema Yisrael” and “Barukh Shem,” daily, so that she accepts upon herself the yoke of heaven (see below, 16:1). Women are exempt from the recitation of all the prayers of supplication and the passages recited after the Amida. Women must say the bedtime Shema and recite the Ha-mapil blessing (as explained below, chapter 19 n. 1). 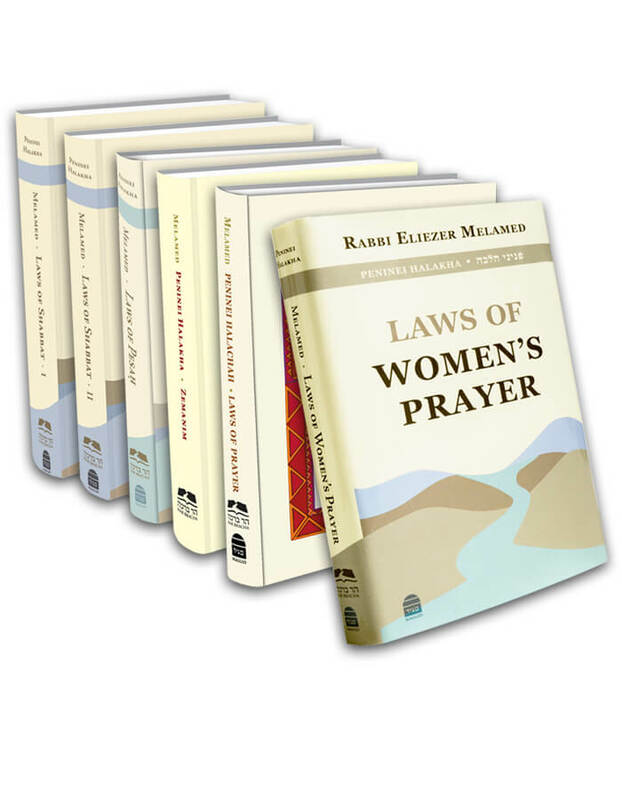 Women are exempt from praying Musaf of Shabbat, festivals, and Rosh Ĥodesh. Some poskim say that just as women must pray Shaĥarit and Minĥa, so too they must pray Musaf, and although, le-khatĥila, it is proper to follow their opinion, the opinion of most poskim prevails, and women are exempt from Musaf. Regarding the recitation of Hallel, all opinions agree that women are exempt (see below, section 9). Some poskim maintain that women have an obligation to fulfill the mitzva of Torah reading on Shabbat; however, in practice, the halakha follows most poskim who maintain that women are exempt from hearing the Shabbat Torah reading (below, section 10). This entry was posted in Chapter 02: The Mitzva of Prayer for Women. Bookmark the permalink. 08. Are Women Permitted to Recite Blessings on Time-Bound Mitzvot?